More than 80 artists from around the world submitted proposals to design and construct the December 2 Memorial project. In May, the December 2 Memorial Committee invited local, national and international artists, designers and architects to submit their ideas for the project. 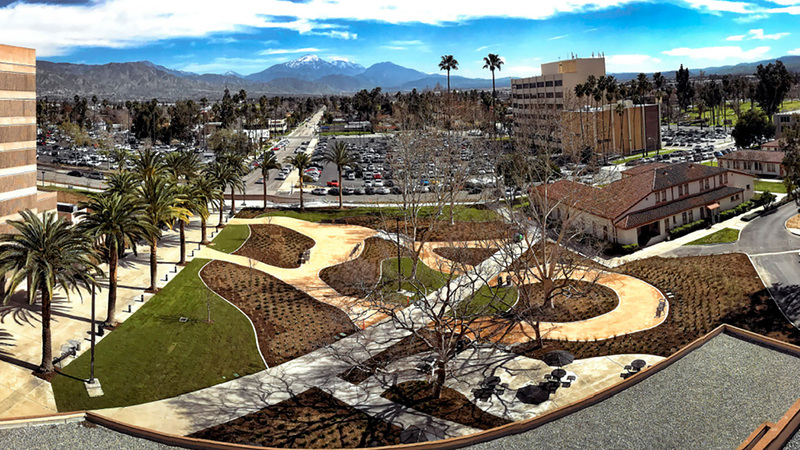 The memorial will be located on the east side of the San Bernardino County Government Center located at 385 N. Arrowhead Avenue. The committee received design submissions from Great Britain, Australia, Canada, Mexico, Germany, Spain, China, Korea, Singapore and Argentina in addition to those received from across the United States and the inland region. Those who submitted the designs included a mix of young artists and established artists, as well as landscape architects and designers. The County Board of Supervisors has retained Community Arts, Inc., an organization that brings art to non-traditional venues by fostering collaboration between artists and clients, to assist the committee in vetting the proposals. The agency will present a report for the Memorial Committee to consider at their meeting on September 5. Requirements set by the committee for the memorial design include the need for it to permanently honor and celebrate the innocent souls taken on that fateful December 2nd day in 2015. It must also provide enduring recognition of the county employees who witnessed the attack and acknowledge those who bravely and selflessly provided protection, comfort and support to the loved ones of those who were lost or wounded, the San Bernardino government family and the county community at large in the days, weeks and months that followed. Finally, the committee wants the memorial to focus on life, love, peace, tolerance and San Bernardino County’s historic and enduring tradition of strength, determination and resiliency. A total of five artists will be chosen from the submissions. The selected artists will then be commissioned to develop and submit detailed proposals and a preliminary model or sketch. A finalist will be chosen from among them to produce the memorial. The December 2 Memorial Committee is comprised of employees from the county’s Environmental Health Services Division and family members of the county employees who died that day. It also includes representatives from appropriate county departments. The committee is led by Fifth District Supervisor Josie Gonzales.